The MVP Award Program and the Windows IT Pro teams are pleased to offer a series of free live webcasts worldwide to provide awareness and first hand guidance about Windows 10 Enterprise for IT Pros. The webcasts will be delivered by Microsoft MVPs from each of the participating countries. Windows 10 IT Pro Readiness is a great opportunity for you to learn the latest features for the IT Pros focused on Windows 10 Enterprise, and also connect with top Windows MVP experts. ·The webcasts will be delivered during the week of October 12 to 17 2015. ·Each webcast will last from 2 to 3hrs, depending on content delivery and the interaction from the attendees. The Windows Team is empowering the MVPs with technical content and a specific private training so each MVP delivering the session is fully equipped with content, and guidance to better support you as an attendee of the webcast. We hope you are able to join us in this great global initiative! This is a one day event filled with the latest on Microsoft technologies broken down into 2 streams. The first stream will be all about Windows 10 and the second stream will focus on the Cloud OS and Azure. The agenda for the day is below! *Please note that this agenda is subject to modifications at any time prior to the event date. All registered attendees will be notified of any such changes. What are your prefered Operations Manager Management Pack? What are the TOP 5? The System Center community is large and continually growing. For new users that are just getting to grips with the new software, there is an abundance of additional management packs that need to be installed before getting the full benefit. These Management Packs (MPs) take the form of updates from Microsoft, free software from 3rd party vendors, and paid-for solutions from 3rd party vendors. -You can leverage on the power of Microsoft Azure for building a Hyper-V based datacenter disaster recovery plan. -You can migrate your in-house VM’s to Microsoft Azure, guaranteeing uptime and availability of the machine and the applications to your end-users. 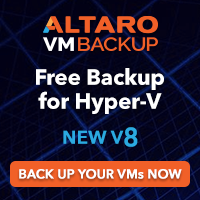 Not using Hyper-V yet? No worries, Azure Site Recovery can also act as failover for your VMware or physical host platform. 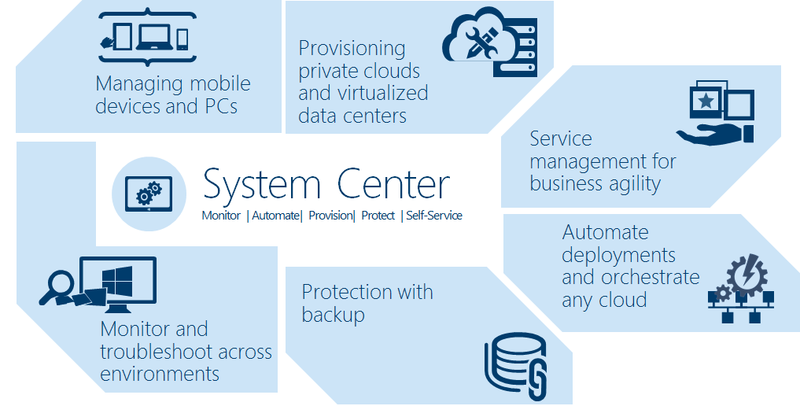 What’s New in System Center VMM 2016? System Center 2016 will continue to speed time to value with new provisioning, monitoring and automation capabilities designed for your software-defined datacenter. Optimized for both traditional management and private cloud environments. 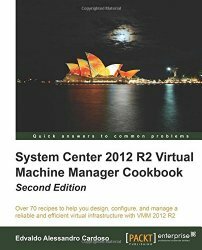 Tuesday 8 September I will be presenting an event at Microsoft Brisbane about the new features in System Center VMM and the rich enhancements provided with Microsoft Azure Operational Insights and Automation. Learn best practices for using VMM to manage your datacenter fabric. Come and see how other customers are using System Center. We will also have a sneak peek of Containers and management of Windows Server Containers using PowerShell.